Foam weapons comprise a fibreglass rod surrounded by soft foam padding and a coating. The grip is wrapped with leather for a tighter grasp. 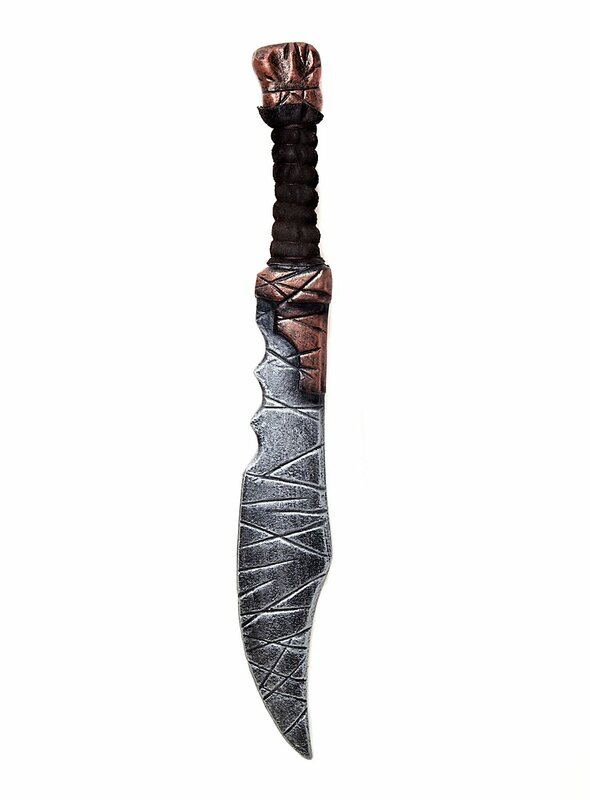 PLEASE NOTE: Our Orcish Dagger differs from the one shown. The jagged edge is on the other side of the blade.